Time for a check-up scan between chemotherapy treatments. 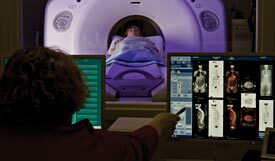 The CT scan was chosen as a way to view the tumor. Now it seems like I am have worked my way around to almost all the scans. The CT scan had some benefits... It was way less time consuming than the PET scan. It was also less in time and noise than the MRI. Less pushy than the Ultrasound. Overall, the CT scan was the less invasive and time taking scan I have had (yet). As with most tests it did require and IV. However, since I have a Power Port it was used instead. I have learned than any time I go to any medical thing to prepare the port, just in case. I was not told that the port could be used, so it was good that I had prepped myself. Plus, if I am going to get jabbed in the chest I would prefer that it was numb. After the IV was in and ready, I made my way to the imaging room where I climbed up on another narrow table, raised my arms above my head, and got medicine hooked to the IV line. 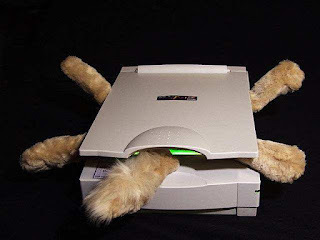 That seems to be a pretty standard scan procedure. Someone getting a CT Scan... not bad at all. The scan itself was maybe 15 minutes... short and sweet. When the medicine was released mid-procedure it made me feel warm, as well as heighten the sensations that I peed myself. Which thankful, I had not! A few breaths held, a few swipes through the machine, and then it was over. I got another dose of medicine before they removed the IV line which made my mouth taste metallic, but after everything I have taken from chemo - that wasn't new! Really, that was it. Seems too easy! Fast. Easy. Painless. Gotta love tests that require little more than a few minutes and minor medicating! Now I am off for a week-long beach trip before starting Taxotere chemotherapy!